About – Metro Hydraulic Jack Co.
About Metro Hydraulic Jack Co.
Metro Hydraulic Jack Co. is a third generation family business. It was started in 1941 by Murray Storch who repaired jacks for the army in World War II. It is currently operated by Barry Storch, Michael Storch & Steven Storch. We try to add our personal touch to each job insuring that it is done properly and to our customers satisfaction. At present we are one of the leading sales & service centers in the United States. 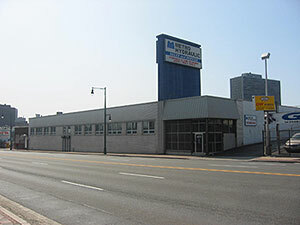 Our facility is a 20,000 square foot building in Newark, NJ. The shop & warehouse is 17,000 square foot, offices are 3,000 square foot. Currently we are a distributor of hydraulic jack equipment and jacks, tools, and parts. Our products include a broad range of cylinders, motors, valves, presses, couplings, tools, hydraulic fittings, hoses, jacks, pumps, lifts. Lubrication equipment, pallet stackers, scissor lifts & workholding devices are also available. Engineering services include hydraulic & lube system design.